Still bright and fun, but a little hint of what's to come. 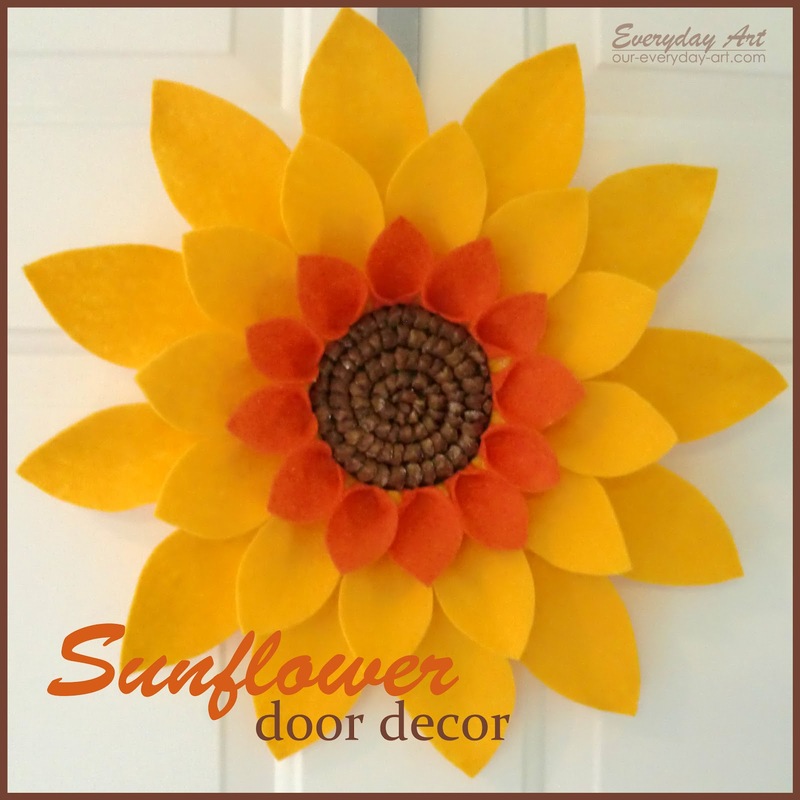 My sister Lisa just made this great sunflower for her front door and was nice enough to let me share it with you- thanks Lisa! but made a few changes. 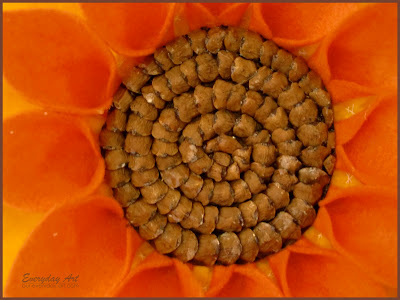 She sewed the petals like I did in this sunflower tutorial, and then glued them to a styrofome circle. So go make your own... I think I will!